Color mixing for kids is a fascinating activity. 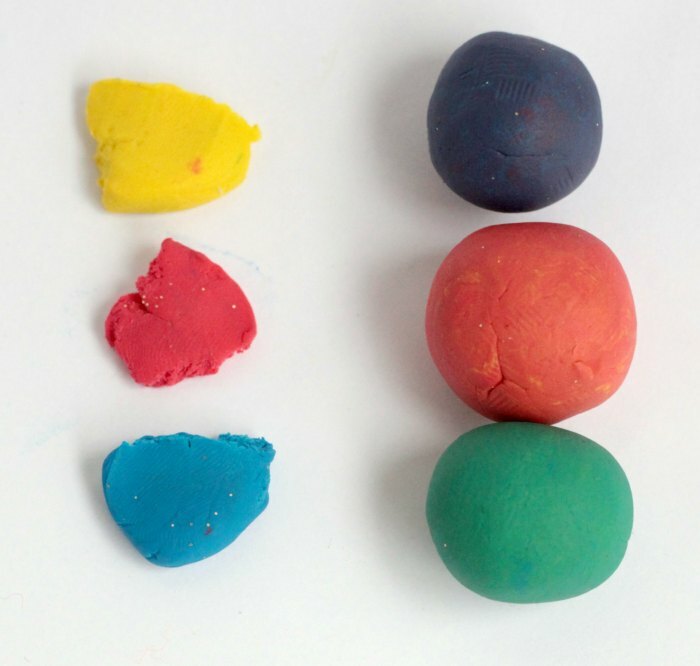 This modeling clay color mixing activity teaches the basics of primary colors, color mixing and the science behind colors. 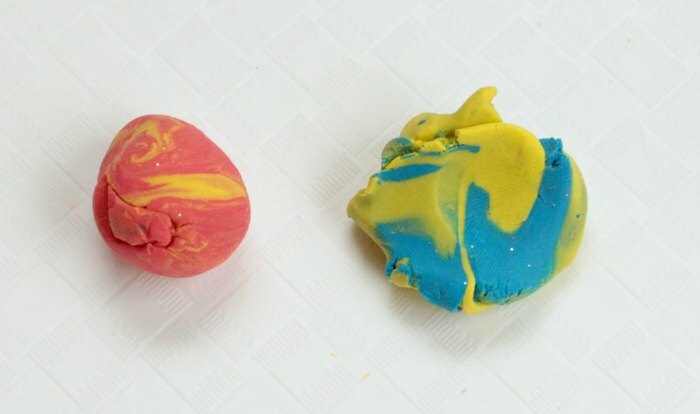 We used modeling clay for our experiment, but you can also use any other sort of clay or dough where the colors will actually combine. 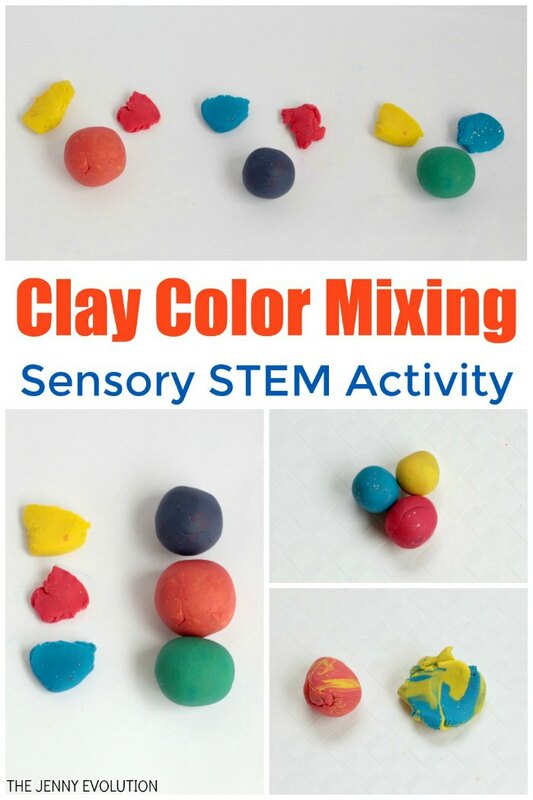 So rather than worrying that your kids are mixing up their play dough or clay color, delight your kids and encourage them to mix things up in this activity! This post contains affiliate links. Follow these steps to set up your own modeling clay color lab. You can also use play dough, if you don’t have any modeling clay on hand. Discuss what primary colors are with your kids and how we know they are primary colors. The primary colors were originally identified because with those three colors, you can make just about any other colors that exist. Light, pigments and printer ink all have their own variations of primary colors. For example, a printer has cyan, magenta, and yellow as its primary colors and from those, it can make any color except true black. In paint (or clay), red, yellow, and blue are made. However, the hue of the three original colors will have influence on the final color, as we found out. Our mixed colors were not as vivid as what we are used to seeing. 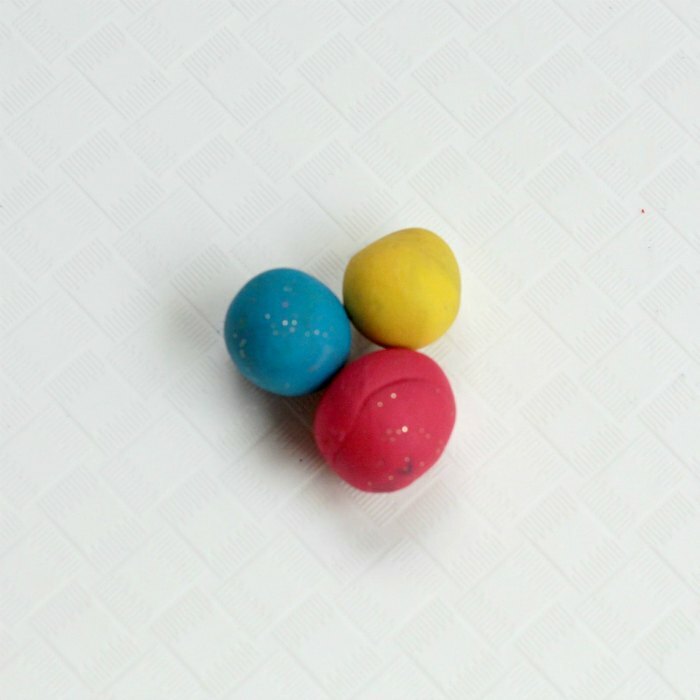 Give your kids three yellow pieces, three red pieces, and three blue pieces. Instruct them to mix one of each color with the other colors. What will they end up with? Of course, you know that red and blue makes purple, red and yellow makes orange, and blue and yellow makes green, but this will be new information for your kids! 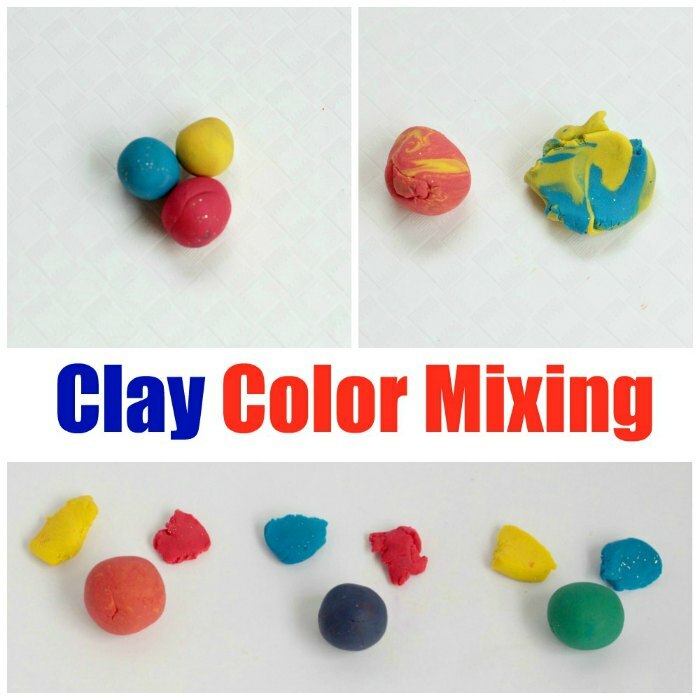 My kids loved squishing the clay to make the new colors and they were delighted they could make new colors by mixing other colors. What a fun activity to learn color mixing! I never would have thought to mix clay to see what colors combing to form new colors! What kid doesn’t like playing with something they can squish? Thanks for joining Family Joy Blog linkup.